When players enter the game space, Huizinga’s “magic circle” affords them some protection, perhaps in the way of a talisman, but it doesn’t make them safe. Or anyone else, for that matter. Games are about as “safe” as books or plays or movies. They are a cultural force, both within their particular spaces and without. To say that games are of no consequence because they are not “real” misses the point. The magic circle was never an agent of insulation. The Achaeans knew better than to try and beat Achilles in Patroclus’s funeral games. We know better, or should know better, than to just shrug it off when Go or StarCraft II pros get clobbered by an AI that’s barely grown its first set of teeth. 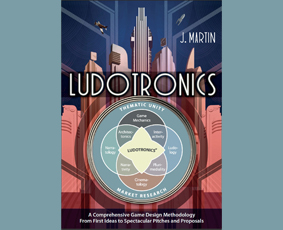 Yet, as touched upon in Ludotronics in the context of passage design, there’s a tendency to tame threatening ideas as they travel from medium to medium. In text space, for example, there’s a land with a yellow brick road that leads from witches to wizards, and a land of orphans and pirates where fairy dust makes people fly. In movie space these all turn out to be dreams, so daily life in MGM’s Kansas and Disney’s London can safely proceed. In game space, these dreams of yellow brick roads and of fairy dust eventually dissipate into the evanescent mirage of the virtual. Indeed, within this “virtual space,” despite or because of this medium’s celebrated interactivity, even recapturing the U.S. Capitol after a fascist coup can be proclaimed as definitely not political. When you’re working on a game treatment, don’t let that fool you. Experiences, all experiences, are inside our heads; and inside our heads, all our experiences are real. These experiences, in turn, will affect who we are and what we do in the world. Abstain from thinking in terms of real versus virtual, always think in terms of experiences and imagination. Create the road for your players to travel, the dust for your players to fly.